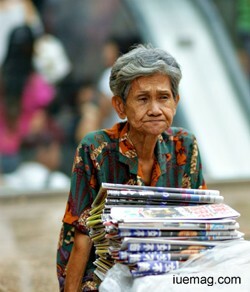 a petite bunch of newspapers she sold. she sat alone in the morning's cold. A moment's distraction teaching me a lesson for life! How strong her trust in Thee must be! to have such hope and courage that earns her bread! reminding others to count their blessings! If this isn't inspiration, I don't know what is! Any facts, figures or references stated here are made by the author & don't reflect the endorsement of iU at all times unless otherwise drafted by official staff at iU. This article was first published here on 28th February 2015. Apoorva K R is a contributing writer at Inspiration Unlimited eMagazine.